Barclay George Jones, PhD, of Urbana, returned to the Lord peacefully on Sunday, January 27, 2019. He was a Professor Emeritus of Nuclear, Plasma, and Radiological Engineering (NPRE) at the University of Illinois at Urbana-Champaign. A celebration of his life will be held later this year. Dr. Jones was well known for leadership and commitment in guiding nuclear engineering education. He was a steady hand at the helm of NPRE, and a great friend to students, faculty, and staff. His research interests included thermal-hydraulics, reactor safety, multiphase flow, boiling heat transfer, turbulence measurements and modeling, flow-induced vibrations and aeroacoustics, human-machine interfaces for reactor control and simulation, and food irradiation safety. Among his contributions were the development of experimental apparatuses to look at the behavior of suspended particles in turbulent pipe flow, and the development of an instrument measuring local fluctuating static pressure. He also led the design of the reactor coolant system for the University’s Advanced TRIGA Mark II Reactor. To further his professional development, Jones maintained affiliation with a number of organizations, including being a Fellow at the American Nuclear Society, a faculty initiate of Tau Beta Pi, and an Honorary Member of Alpha Nu Sigma. Barclay was born on May 6, 1931, in Lafleche, Saskatchewan, Canada to parents George and Bertha Grace (Crowder) Jones. He grew up in rural Saskatchewan on his family farm. From an early age, he learned the value of hard work, education, and love for family. This early intellectual curiosity and work ethic led him to enroll in the University of Saskatchewan where he obtained his Bachelor of Science (BS) in Mechanical Engineering. He spent his undergraduate summer months in the Royal Canadian Air Force as an officer training to be a pilot. He received his commission and served as a pilot in the RCAF during this time and after. Following these years, he was licensed as a commercial pilot in Montreal, Canada. Prior to attending graduate school at Illinois, Barclay worked at several different organizations. He began his career at Atomic Energy of Canada, Ltd. He later took a job with English Electric Company where he worked as an Athlone Fellow in Rugby, England. He went on to work at the Atomic Energy Research Establishment in Harwell, England, where he became a trained nuclear reactor operator. While there, Barclay attended Cambridge University in advanced graduate studies. He then returned to Canada to work at Canadair and eventually left that position to go to Westinghouse Atomic Power in Pittsburg. It was during this time he met the love of his life, Rebekah I. (Scolnick) Jones. They married in Connellsville, PA on August 15, 1959. Jones enrolled in graduate school at the University of Illinois in 1958 where he received his Master of Science (MS) and PhD in Nuclear Engineering. In 1966, Jones finished his PhD program and became an assistant professor with the department. He was promoted to an associate professor in 1968 and full professor in 1972. He served as the associate chair of the Nuclear Engineering Program from 1981-1986, and was acting head of the newly formed Nuclear Engineering Department for a year, then became permanent department head for 13 years. He has been so beloved by NPRE students, colleagues and alumni that they forged a grassroots campaign to establish a graduate fellowship in his honor, the first Jones Fellow was awarded in 2010. Dr. Jones was a passionate and active volunteer and leader of the community. He was instrumental as a founding member and board chairman of Developmental Services Center (DSC) for a number of years. He was one of the earliest board members of Countryside School in Champaign. His family are members of First Presbyterian Church of Urbana, where Jones served at different times as an ordained elder, deacon, trustee, and Sunday school teacher. 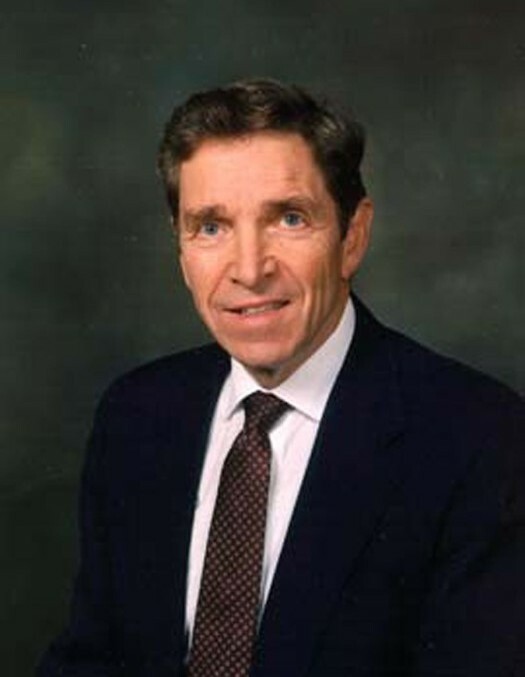 Dr. Jones had many interests throughout his life, including baseball, rugby, ice hockey, jogging, reading, and was an avid fan of Illini athletics. He was a devoted and loving husband, father, grandfather, and friend who was a dear brother in the Lord and a great patriot. He will be lovingly remembered by his beautiful bride, Rebekah, as well as their loving children: Deborah, Allison, Catherine, and Sarah (Jay Kinzie), his sister Hilda Pederson (Forrest) of Wynyard, Saskatchewan, Canada, brothers Hilton Hughes of Lockwood, Saskatchewan, Canada and Melvin Hughes of Canada, many nieces, nephews, cousins, and his admiring grandchildren: Jessica, Christopher, Steven, and Rebekah. Preceding him to heaven were his parents, stepfather Ernest Hughes, brother Walter, and sisters Margaret and Erma. In lieu of other expressions of sympathy, remembrances may be made to the Barclay G. Jones Endowment in Nuclear, Plasma, and Radiological Engineering Fund at uif.uillinois.edu (217-649-2624) or to Developmental Services Center Workshop at dsc-illinois.org (217-356-9176).